Mailchimp Subscribe for Android provides design tools to customize the look and feel of your forms. You can choose the layout of your form, use your own logo, and manage the form's fonts and colors. 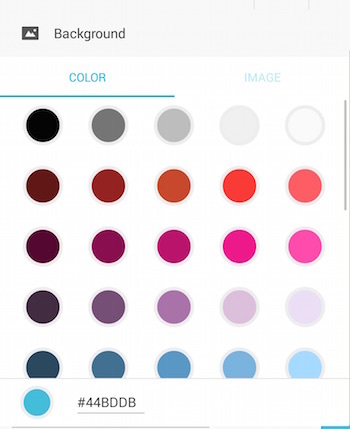 To customize the background of your form, choose an image from your device or use Subscribe's color picker to set a background color. To select a background for your form, tap the Image icon in the toolbar, and choose a background color or tap the IMAGE tab to select an image from your device. 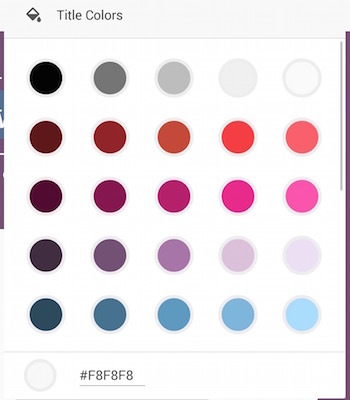 To enter a hex color value, tap the text box in the lower-right corner. Tap anywhere on your form to close the menu. Tap the Show icon in the upper-right corner to hide the image, or tap the Image icon to choose a different image from your device. Tap the Pencil icon in the upper-right corner, and type your content in the text box. To choose a font, tap the Text icon, and tap the Font name. Use the Bold, Italic, and Underline icons to style your font. Tap anywhere on your form to close the menu. Tap the Paint Bucket icon next to the Text icon to choose a font color. If you're editing the Subscribe button, you'll see two tabs on the Button Colors menu to style the BUTTON COLOR or the TEXT COLOR. 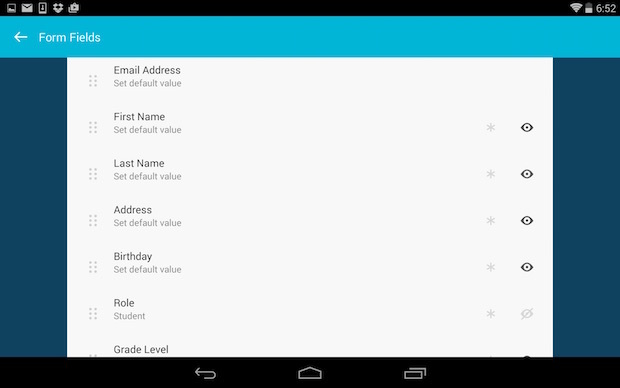 Tap any field on in the form area to edit the form fields. 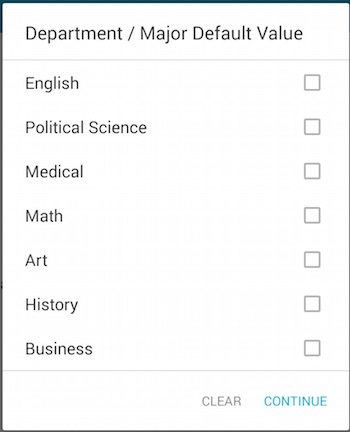 Tap the List icon to edit the form field settings. In the pop-up modal, tap the View icon for any field to make it hidden or visible on your form. Tap the asterisk to make a field required. Make sure all fields that are required in your Mailchimp signup form are also required on your Subscribe form. To reorder your form fields, tap and hold the six dots icon for any field to drag it to a new location. To enter a default merge value for a field, tap the name of the field, and input a default value in the text box. For groups, choose a default group name. Tap CONTINUE to return to the Form Field settings. When you're finished, tap Form Fields in the upper-right corner. Create signup forms on your tablet with Mailchimp Subscribe. Learn how to connect to Subscribe and create a form.